I've always wanted to get some subscription boxes, but they ARE fairly expensive (which is fair given how many items you get), so I wasn't able to afford any before I started working at the printing company. And not many themes had really jumped out at me and made me go OMG YES I NEED THIS. 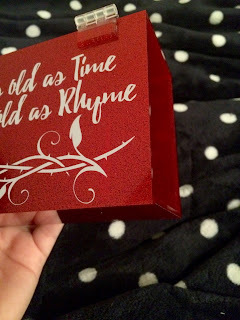 Lately I've been paying close attention on Instagram when themes and hints drop, so when LitCube announced that their October box was Beauty and the Beast inspired, I HAD to get it. 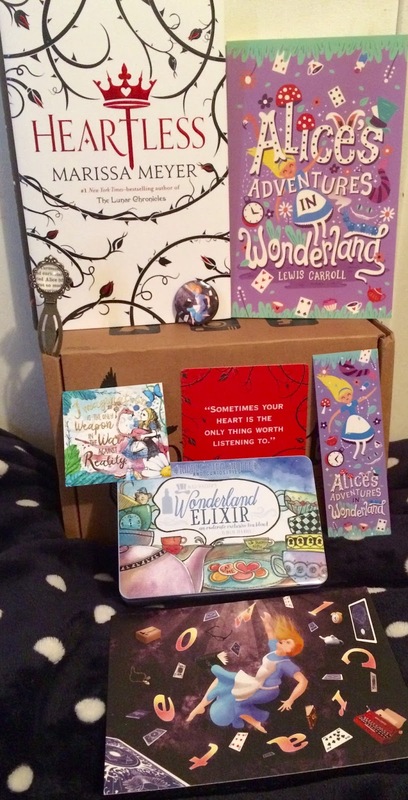 And when OwlCrate's November theme was Wonderland with an exclusive cover of the book inside, I knew I needed that. And while I'm happy I got them both, one was so much better than the other. LitCube unfortunately did not give me a very good impression, which I'm sad about given how much their October theme meant to me. Beauty and the Beast is one of my forever favorite things. But overall, I was not a fan of this box. 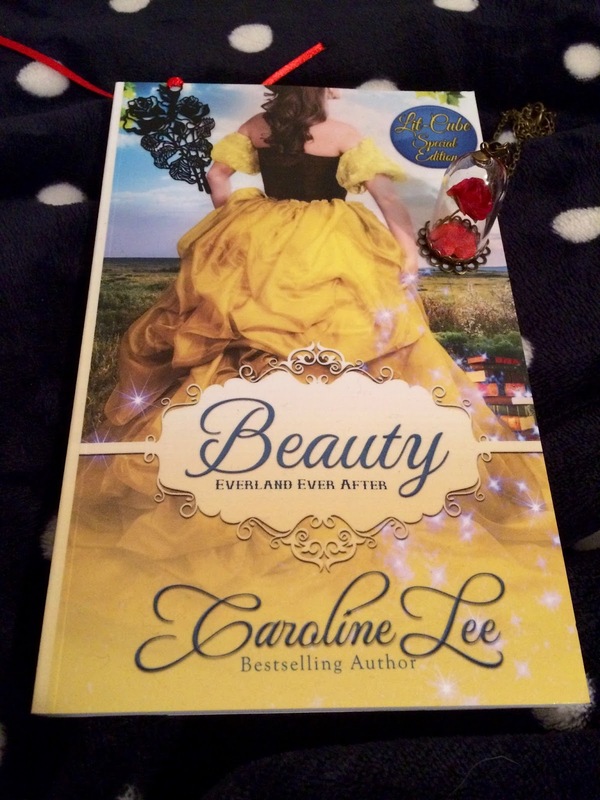 Honestly, my favorite item in the box was the pretty metal bookmark. I do love the necklace, but I'd already had something similar from Hot Topic (though I do like this one better). I didn't mind getting a book from an indie author, I love finding gems in the self-published world! It's even cooler that this was a limited printing specifically for LitCube subscribers. And I'm excited to read it! I really want to love it, and I feel like if I do, it'll make me feel better about getting this box. (I'm only half-joking). MY JEWELRY BOX BROKE. I'M SO UPSET. 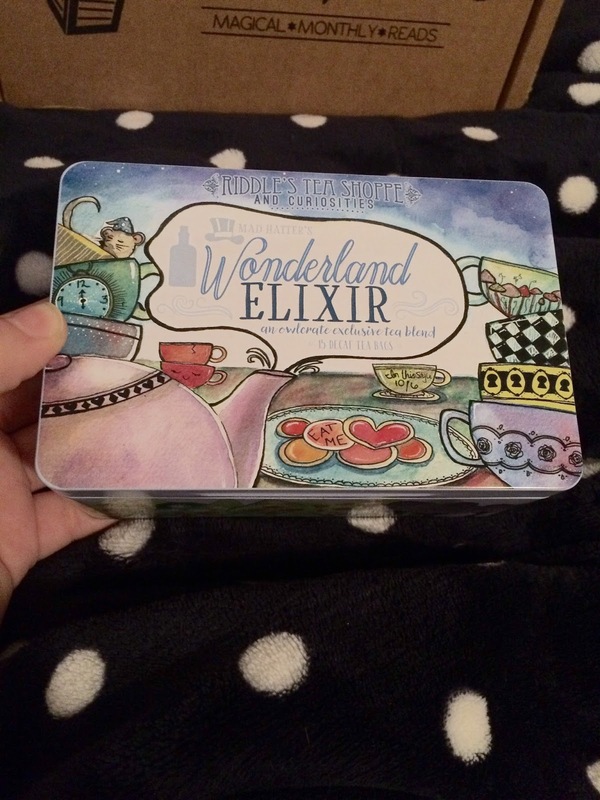 It's so pretty and it could've been a good box to use for bookish things. But IT'S NO GOOD. I didn't contact LitCube because what could they have done? These were made specifically for the box, so I didn't think they'd had extras made. And I just didn't really want to bother with it. I could probably try to glue the side back on, but I don't know how well that will work. So yeah, pretty disappointed with this one, even more so after how much I loved OwlCrate. 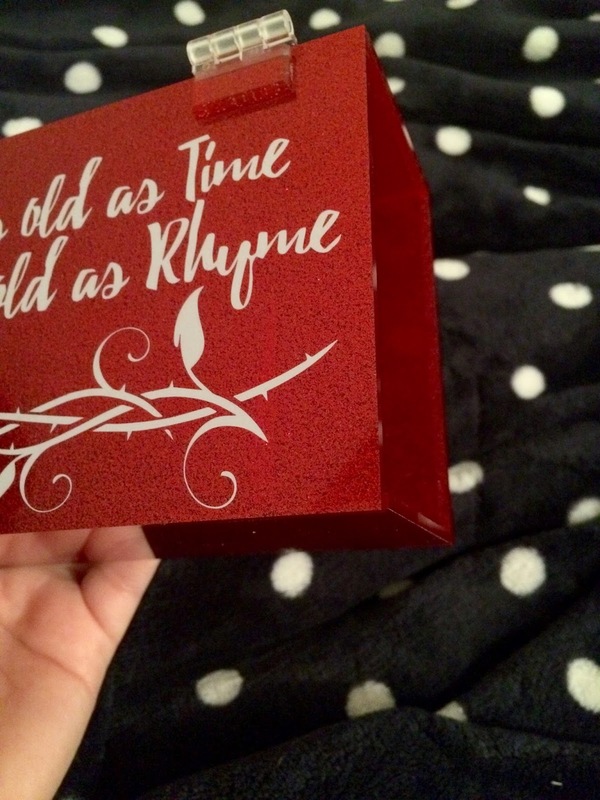 By and large, OwlCrate is one of the best subscription boxes out there. I've always been impressed by the quality of their items and how good they are at creating a theme around a specific book. In the past, I would've loved to have gotten a few of theirs before. But so freaking happy I started with the Wonderland box, because I'm amazed at the quality of the items and how awesome they did with this theme. I have a hard time picking my favorite item from this box, but this EXCLUSIVE cover of Heartless probably takes the top. I honestly love it more than the original cover! The white background works so much better, because it makes the colors pop. And it's just so freaking pretty. With the book, there was a letter from Marissa Meyer and a quote card that says, "Sometimes your heart is the only thing worth listening to." The Alice button and the curiouser and curiouser bookmark from Authored Adornments were my two favorite non-book items! Last item included: a magnet designed by the lovely Evie. 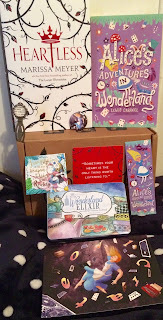 Overall, like wow, Owlcrate's box was AMAZING. I'm so impressed by it. 10/10 would recommend. December's theme is EPIC, and since I'm 99% sure of the book, I won't be getting it because I didn't love it. But it sounds like an epic box, so you should check it out! Have you guys ever tried a subscription box? If so, which one and did you love it? I want opinions for future references!